16” stud spacing – If you have 16″ stud spacing then any of our furniture will work fine for your walls. It’s still a good idea to use a stud finder to see where the studs are located in the space you want to build. This will give you more information to help in deciding the best structure for your space. 24” stud spacing – For 24″ stud spacing we suggest using any of the items listed below, or anything in the Cat Mod collection. Although the complexes in this collection are designed to fit 16” stud spacing, they have grommets spaced out every 8” so that they can be used for both 16″ and 24” stud spacing. This is a modular wall system, so you can build something with any of these packages to best suit your space. 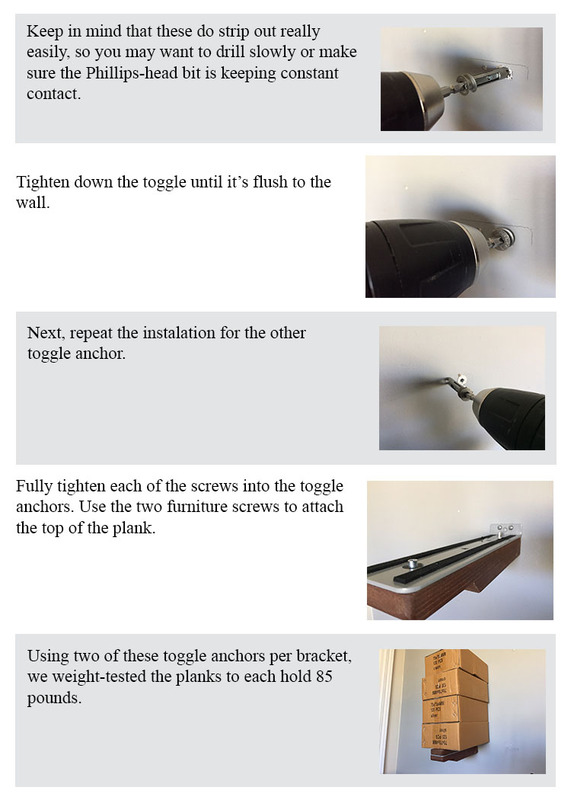 Other stud spacing – If you are mounting into drywall and have stud spacing different from 16” or 24” we have three different options, listed below. Use a backer board This is a nice option for people interested in using fabric hammock complexes because it creates freedom to mount wherever you would like. We suggest using 3/4″ plywood and screwing either one panel or multiple panels to the wall wherever your studs are located, then filling in the cracks with Spackle and painting the color of the wall. This does minimum damage when removed and creates an incredibly sturdy surface to mount on. When mounting the backer boards, take care not to bury the screws into the plywood, or Spackle over the screws. We did this and we still do not know how we’re going to remove the backer boards when we move. Use self-drilling toggle anchors Although these are rated to hold large amounts of weight, this option is something we would suggest as a last resort. Depending on the drywall and the size of the cat, they can get loose and pull out over time. Especially if they’re being utilized with lower levels that cats are jumping down onto. 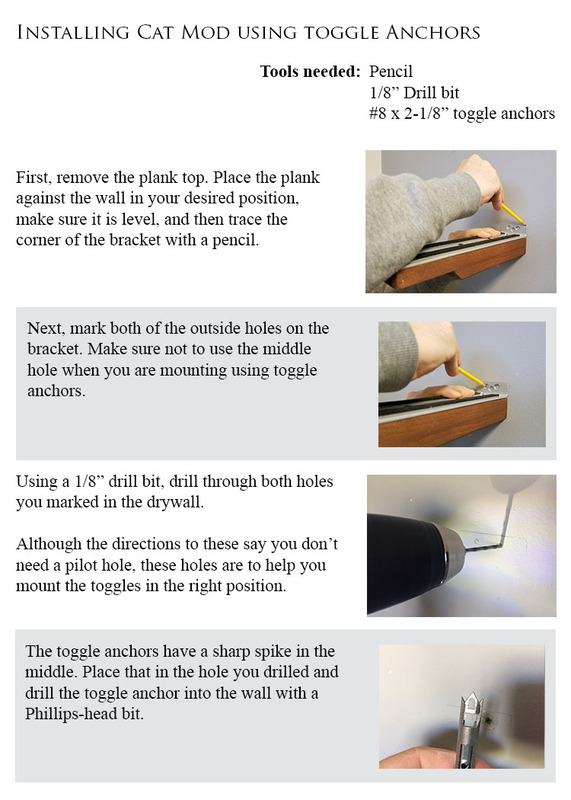 If you’re interested in going this route, we suggest going with these toggle anchors: #8 2-1/8″ self-drilling toggle anchors.